The global food supply chain brings us exotic fresh foods from around the world. But the challenges in ensuring affordable and healthy food are enormous. Here are five of the biggest hurdles and how to clear them. The food we eat is a lot less secure than we would like to imagine. Food fraud is estimated to be a $40 billion a year problem and almost everyone has heard of notorious instances of fraud affecting our food supply, from wood shavings discovered in our parmesan to the 2013 Horsemeat scandal in the UK, and Chipotle’s E.coli outbreaks in 2015. Not only do these incidents damage faith consumers have in their food, but as seen in the 2009 salmonella peanut butter outbreak, they can have fatal consequences. Nine people died in the peanut butter salmonella outbreak. The World Health Organization estimates that almost 1 in 10 people become ill every year from eating contaminated food. The Center for Disease Control estimates that 48 million Americans get sick from contaminated food every year. Add to this the growing complexity of our food supply chain, which provides produce from around the country and the world in local supermarkets, and you have quite a challenge ensuring cheap, healthy food. In this article I will identify five main issues the global food supply chain faces, and what steps can be taken to address them. Traceability is no longer a request from consumers, but a demand, and one that is only growing stronger. 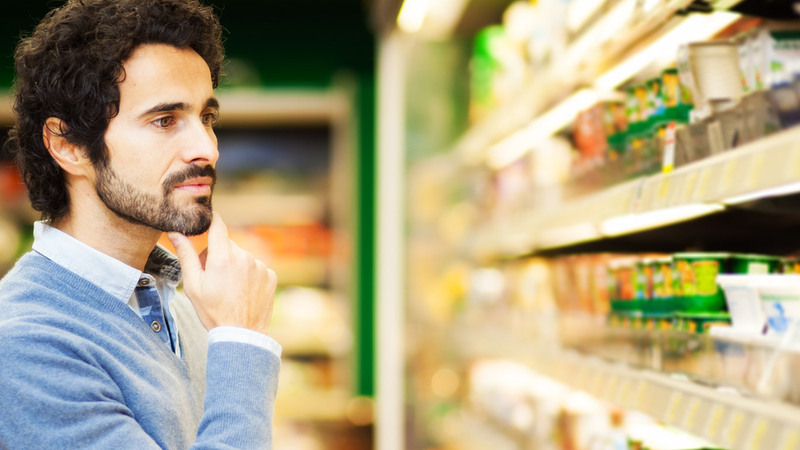 A survey on origin labelling conducted across Europe in July 2012 showed that on average, 70% of consumers in these countries consider the origin as an important factor when buying food. Meanwhile the demand for traceable products has increased significantly in the UK, from 61% in 2012 to 67% in 2014. If we take seafood products as an example, almost half (46%) of respondents to an independent research survey conducted by the Marine Stewardship Council (MSC) agreed that they trust brands that use eco labels (a form of third party certification) more than those that don’t. The survey also found that 66% of respondents felt that traceability of the product was the primary factor determining seafood purchasing decisions. This kind of consumer-requested, information opens up a world of possibilities for companies who recognize how significant this demand is. Companies that take steps to guarantee the authenticity of their products can build their customer base, customer loyalty and protect their brands. One of the biggest obstacles to full traceability of our food is the fragmented nature of the supply chain. For even simple food items there can be a huge number of actors involved, spread around the globe, and with little to no knowledge of one another’s actions. To trace your hamburger for instance from farm to fork may involve tracing your lettuce back to the farm it was grown on (but not what happens to it before it reaches your supermarkets shelves), tracing the beef back to the cattle (with no guarantee, as seen with the horsemeat scandal, that the end product is 100% beef) and any number of logistical barriers. It is vital then that stakeholders within the foodservice supply chain prioritize communication with their suppliers, either through the implementation of traceability solutions, or the commitment to engage only with suppliers they know they can trust. Not only is this beneficial to the end consumer, but to the food producers themselves. Close communication and collaboration means faster and better service at lower cost, and it ensures that their reputations are protected and not left in the hands of unknown and uncontrollable third parties. In her work on trust for the digital age, Rachael Botsman tells us that trust has, and needs to, evolve from institutional-based to a distributed system. While trust in institutions such as banks has eroded, people now trust strangers in the new economy on sites like AirBnB and Uber. Nowhere is the need to modify our trust model more apparent than with our food supply. In such a complex system it becomes necessary to move from traditional systems of centralized trust to a distributed network that enables strict monitoring and auditing. New technologies can help. Technologies such as multi-party networks, provide real-time visibility to all parties in the supply chain. They can also provide item-level track and trace, and a chain of custody, protecting against fraud, contamination and theft. Such tracking not only prevents and deters food fraud, it can also mitigate its effects if it does happen. In the event of a recall, companies can pinpoint the source of the problem and limit the recall to the affected product, instead of doing expensive “wide-net”recalls. When one thinks of the Mafia, olive oil is not the first thing that comes to mind. However, 60 Minutes reported on the “Agromafia” and its involvement in food fraud. In order to combat the growing threat organized crime has on our food supply, it is vital that governments devote resources to organizations dedicated to identifying food crime. In response to the Horsemeat scandal, the UK government launched its National Food Crime Unit within the Food Standards Agency in London, while in the U.S. the FDA has a special focus on food defense. The establishment of these organizations is important as traditionally police forces have struggled to combat food fraud, whether through a lack of time, resources or simply understanding of the complexities of how fraud affects the supply chain. The creation of specialist task forces not only legitimizes the fight against food fraud, but allows for coordinated intelligence gathering and better intelligence sharing across agencies and countries. Steps have already been made in legislation to allow for earlier prevention of food safety incidents occurring, such as the recent FDA’s Food Safety Modernization Act. While it is important that lawmakers are proactive in their response, the focus has primarily been on food safety and there is still a difficulty in treating food fraud as its own separate entity. The first step is to recognize that there is a problem. By putting a focus on “food fraud,” and more clearly defining what constitutes “food fraud” and what the consequences are, lawmakers will be in a position to prioritize the problem and allocate the necessary resources to tackle it. Strong legislation, with significant punitive measures taken against actors found to be committing fraud, would be a vital catalyst in ensuring that food in our supply chain is as secure as possible. The future is unwritten. The growth of the global food supply chain may bring with it complexity and challenges, but also great opportunities. If companies can proactively implement stringent safety measures, adopt technology that enables full visibility, track and trace, and collaborate more closely with their trading partners, the benefits will be huge, not just for them, but for all of us.